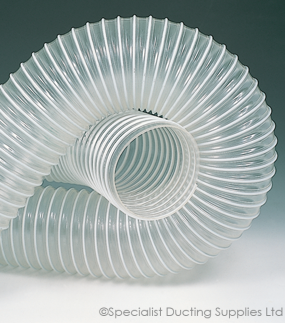 Plasticised PVC with encapsulated axial and helical re-inforcing yarns supported by a PVC covered spring steel helix. 15 Metre lengths up to and including 63mm diameter. 10 Metre lengths 70mm diameter and above. -5°C to +80°C in a 20°C ambient. 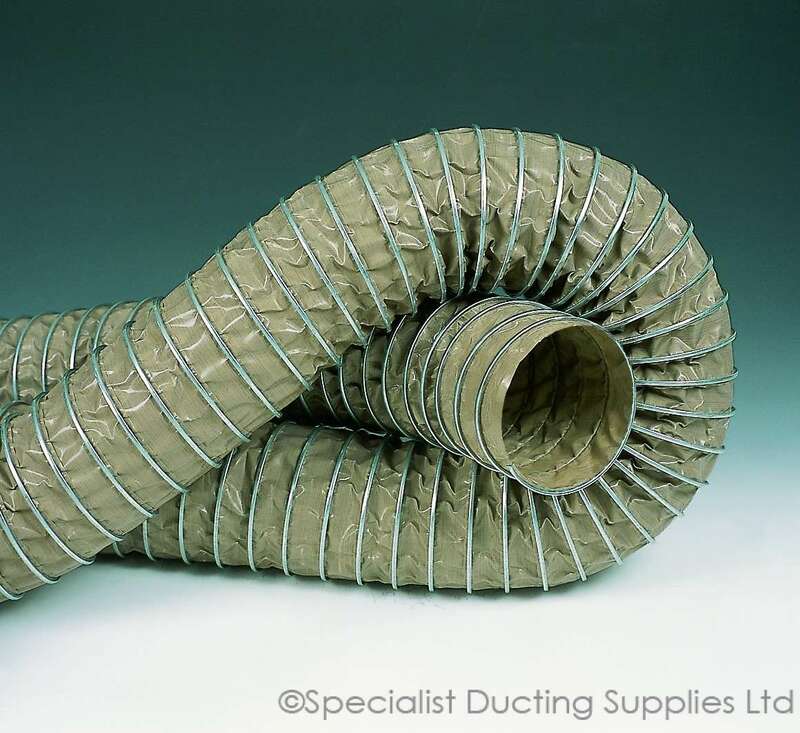 Air handling, dust and fume extraction. 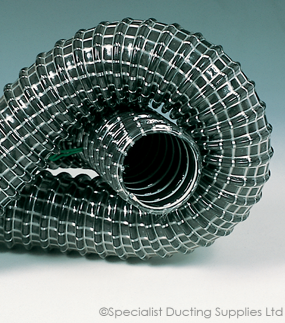 Particularly suitable for domestic and industrial vacuum cleaners. 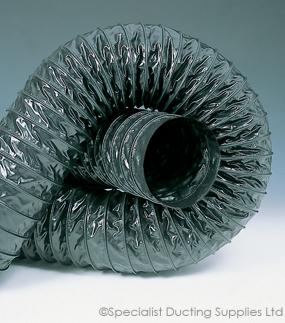 Flexible, smooth bore ducting. Robust and easy to handle with good abrasion resistance.